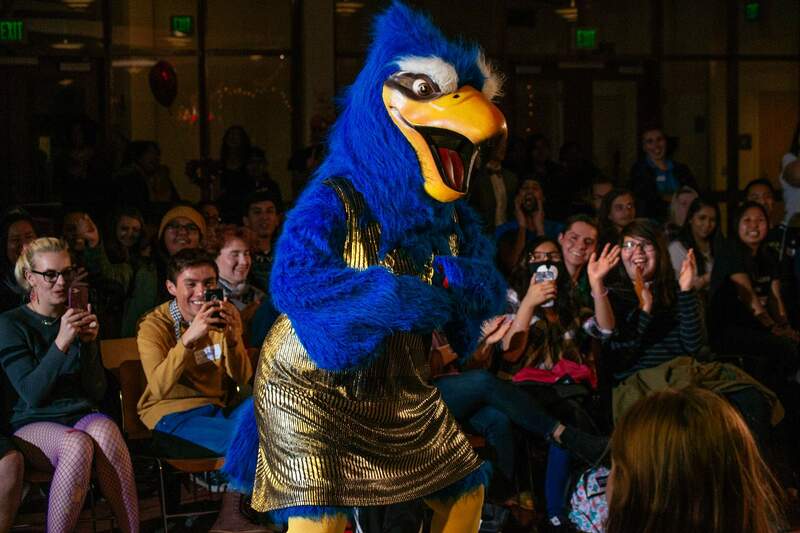 Skyler Skykawk, Fort Lewis College mascot, dances in the “Valentine’s a Drag” drag show Tuesday night at the college. The Gender and Sexuality Resource Center sponsored the show. 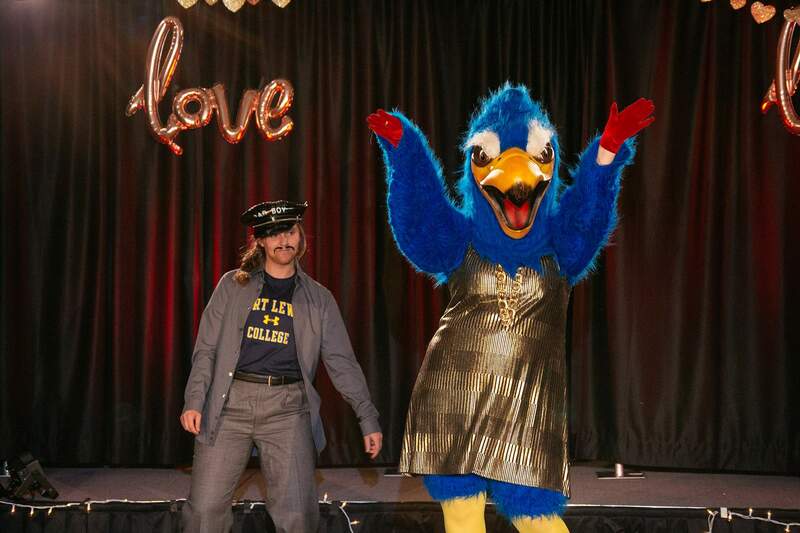 Skyler Skykawk, Fort Lewis College mascot, and Maddie Bellew dance is the “Valentine’s a Drag” drag show Tuesday night at the college. The Gender and Sexuality Resource Center sponsored the show. 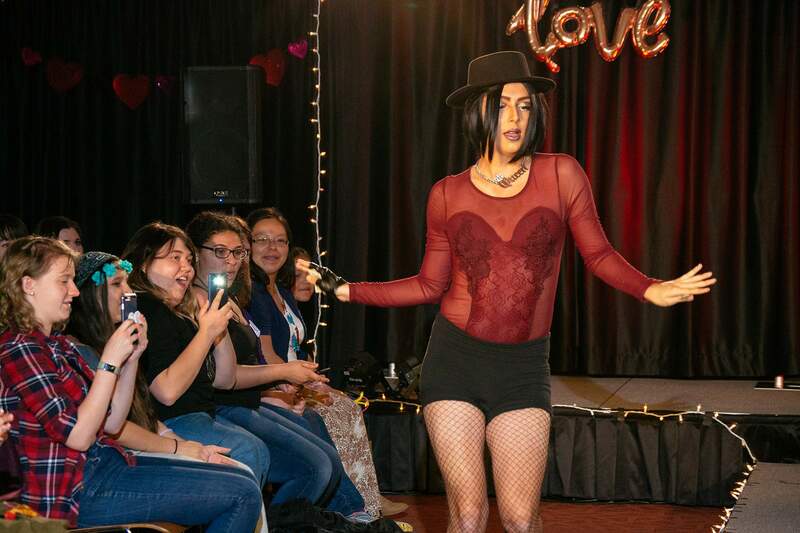 Fort Lewis College’s Gender and Sexuality Resource Center held the “Valentine’s a Drag” drag show Tuesday night. Drewsilla Tomasi performs in the “Valentine’s a Drag” show Tuesday night at Fort Lewis College. The show was sponsored by the Gender and Sexuality Resource Center. Brandon Castle dances in the “Valentine’s a Drag” show Tuesday night at Fort Lewis College. The show was sponsored by the Gender and Sexuality Resource Center. Dinner dates aren’t for everyone, and for those down on their luck in love, there was an alternative to spending the evening alone: a drag show. 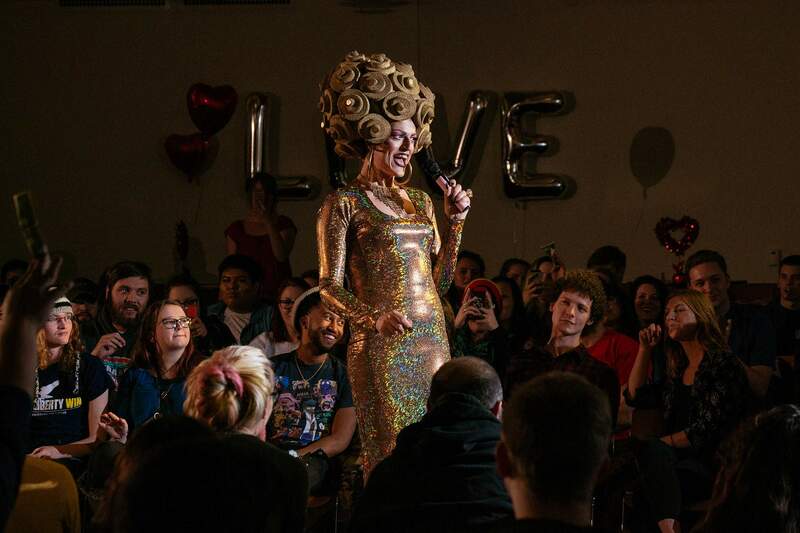 The second annual “Valentine’s A Drag” show in the Student Union Ballroom at Fort Lewis College offered couples and singles a different way to celebrate the alleged Hallmark holiday. 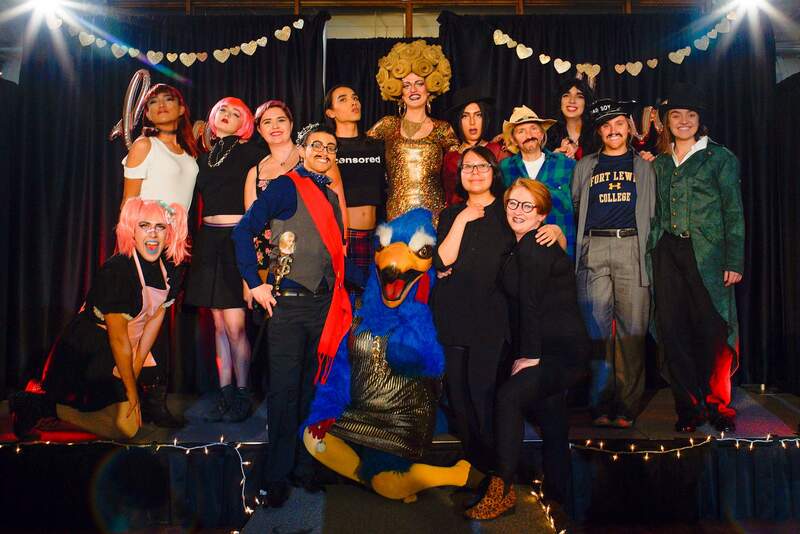 The show was hosted by the Gender and Sexuality Resource Center at FLC, which Stoffer described as a safe place on campus for members of the LGBTQ community and their allies to find resources and support. In the words of acclaimed drag superstar RuPaul, the diverse mix of drag king and queens served up “charisma, uniqueness, nerve and talent” for the audience. Tips given to the performers benefited the Gender and Sexuality Resource Center.